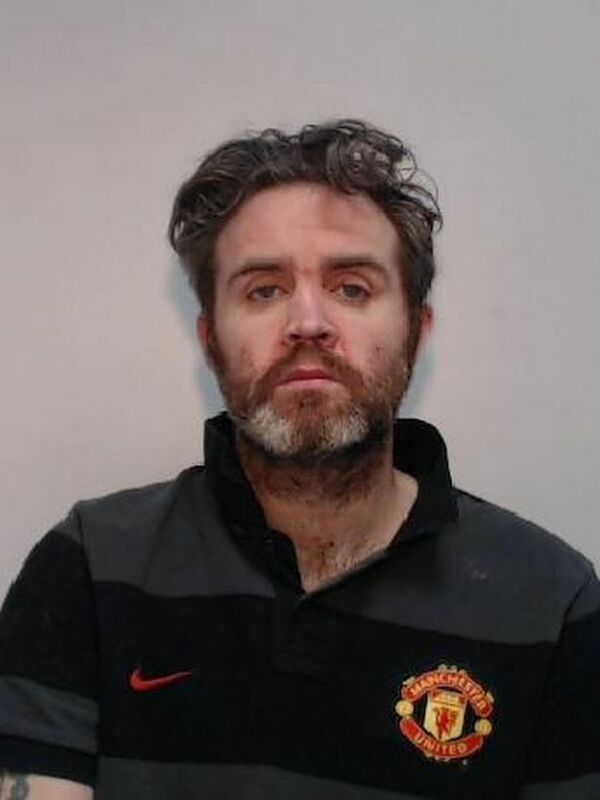 Darren Merriman, 40, was jailed for life after murdering his wife, Elizabeth Merriman, 39, at their home in Rochdale. They were together for sixteen years with three children. The suspicious husband had been keeping tabs on his cheating wife, constantly checked her phone until he found photos of her together with her lover - her work colleague. He called the lover to warn him off his wife whilst confronting his wife concerning the illicit affair until she confessed to it which sent the shattered husband into rage stabbing his wife twenty-two ties with a kitana - Japanese samurai. 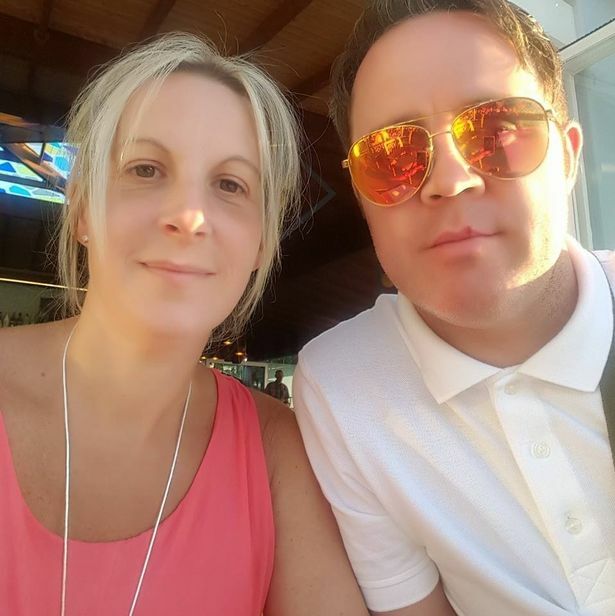 The father-of-three went on a five-hour booze at his local pubs after finding a photo of his wife together with another man. "Yeah man, I'm ready for jail pal. 16 years, three kids ha ha." "Going to do my best for now, play the game but go mental if I need to." Their marriage hit trouble last year after Mrs Merriman, who worked with children with behavioural difficulties, became relied upon to be the main breadwinner at home as her husband had no job. "By late June Elizabeth and someone she had worked with began a relationship and by the September it was obvious to her that the marriage had broken down." "Text message showed the defendant had stayed away from home which wasn't uncommon." "He had spent money from her bank account which meant there was no money to pay the mortgage that month." "He began thinking of getting a job but became suspicious that his wife was seeing someone and in order to consider that he accessed her mobile phone." "He found a name and he phoned that man to ask what was going on." "He was becoming emotional and was convinced that she was having an affair but she did not admit it either." "She was concerned about admitting it in case he did something stupid." "He continued to access her phone and her social media and had seen a photo of his wife and the man together." "By the beginning of October he had packed his bags and went to stay with a friend but later returned." 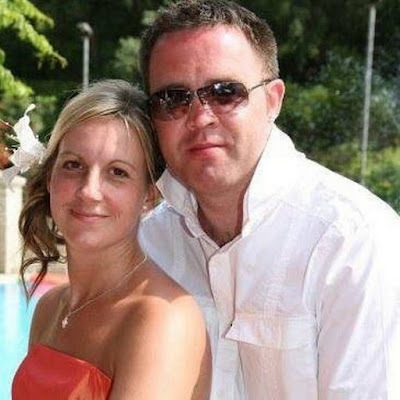 "She tried to end the marriage but he phoned the other man and made further threats and seemed to be using a friend to try and obtain more information." "The defendant then received a message from someone on October 21 saying they had seen Elizabeth at a hotel." "The defendant kept a Katana Samurai sword in their bedroom which was bought whilst the family were on holiday." "Merriman was drunk and saying he believed his wife was having an affair." "The conversation continued with Elizabeth continuing to deny it but he would not let the matter go. She then said: 'Right then I have. Whatever I say you don't believe me.'" "The argument went for over half an hour and Elizabeth was screaming out crying but by the end of the argument before it all went silent." "The defendant then left the house taking the family car." Paramedics who attended the scene of crime were too late to save Mrs Merriman who suffered multiple injuries to her chest and abdomen. He was later found by 3.45am the following morning inside the family car with a few self-inflicted injuries apparently a shot at suicide. He later accepted the blame for his wife's death, claiming he "recalled very little and must have completely lost my mind." "I have never known grief at this level." "Liz was so full of life and touched so many lives with her kindness." "A children's home has since been named after he because of all the work she did with children in the community." He will serve a minimum of eighteen years and six months before being considered for release. "He offers his apologies to all those impacted." "This was a marriage that was failing - perhaps because the burden was falling to heavily on the deceased to provide for the family." "This defendant wanted to ensure the family unit remained together and in the few weeks before he had secured employment in an attempt to address one of the issues of tension." "But, he began to hear rumours and what took place in the proceeding minutes before the death of his wife was that of accepting an affair was taking place." "The actions there after, the defendant does not recall." "He acted out of a total lack of self-control but there was no pre-meditation." "Even that night all he wanted to do was to keep the family unit together." "He had seen is life fall apart and behaved in this awful way." "He's taken the life of the person he maintains he was closest to." "Whilst you were out drinking you became increasingly concerned with what you believed to be your wife having a continuing relationship with another man." "You were aware of the identity of this person and you had his contact details." "You were, it seems well aware of your wife's relationship with another man." "In the days leading up to her death you contacted him and made threats." "That evening you contacted a friend and made sinister reference to being ready to go to jail for 16 years and when you arrived home shortly after an argument ensued." "She may have denied the affair but later admitted it." "In the course of the argument you armed yourself with this sword and inflicted the most terrible injuries on your wife." "It was an attack of barbaric savagery on a defenseless woman in what should have been the safety and sanctuary of her own home." "You stabbed her with force at least 20 times in what must have been a frenzied attack." "Your actions were fuelled by alcohol and you acted in rage inspired by jealousy and anger." 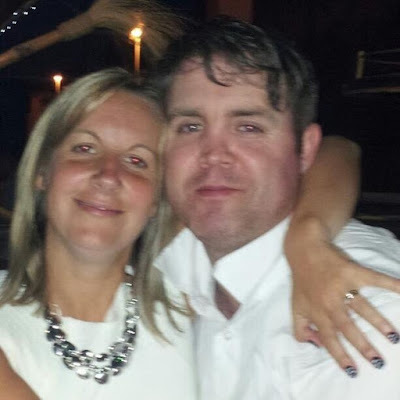 "Elizabeth was a caring and good person and worked in the care industry." "She supported staff who were loyal to her." "She touched the lives of others with her kindness." "She was full of fun and life with a great sense of humour and her death could be viewed as a senseless act which has taken a much treasured person."